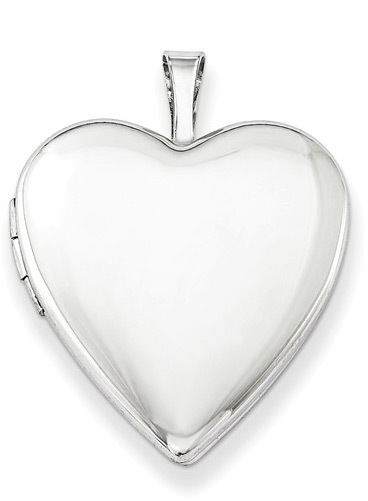 Polished and plain heart locket necklace made in .925 sterling silver. This is one of most beloved heart lockets. Simple in design and an elegant, modern, yet classic look. Heart locket measures 25mm (1") x 20mm (3/4") in size. The hoop/bail measures 5mm x 2mm in size. Locket opens to reveal two pictures which fit inside the heart-shaped necklace. 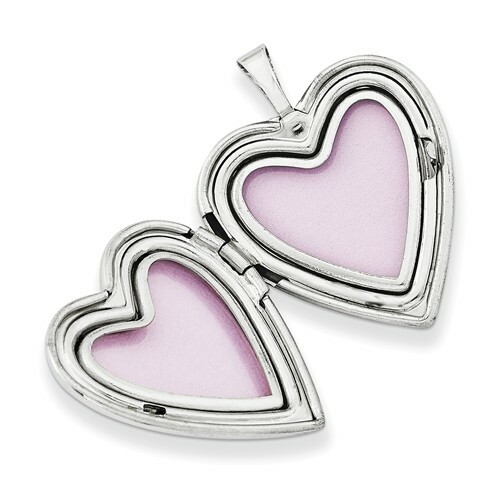 Be sure to view our entire collection of heart lockets, as these are among our most popular necklaces! All jewelry from Apples of Gold also includes free shipping & a 45-day return policy, so you can buy it and try it on with no obligation! We guarantee our Polished and Plain Heart Locket Necklace, Sterling Silver to be high quality, authentic jewelry, as described above.